Mr. Weddle opened the firm's Anchorage office, where he currently practices. Mr. Weddle represents institutional clients in commercial litigation, and a variety of insurers and self-insured companies. He has presented seminars to various insurance groups in several states on a variety of insurance issues. His practice includes commercial and personal injury litigation, as well as defense of maritime and workers' compensation claims. 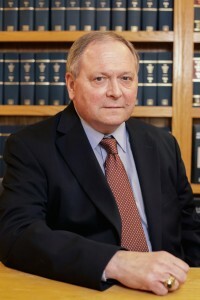 Mr. Weddle is a member of the Alaska Bar Association, and is a past president of the Juneau Bar Association. He is also a member of the Maritime Law Association of the United States. He also authored Damages Under Section 1983: The School Context, 46 Indiana Law Journal 521. Mr. Weddle has been selected to Best Lawyers in America and Alaska Super Lawyers for his practice in workers' compensation. He has the top peer review rating (AV Preeminent) by Martindale-Hubbell.